Handle hundreds of stitches with ease. 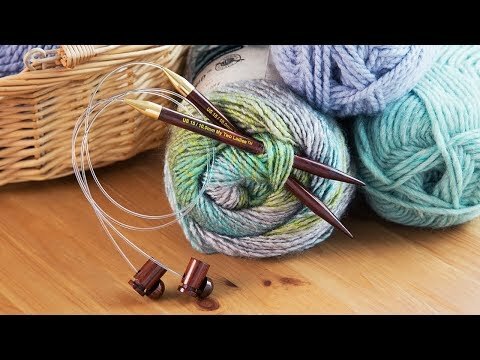 This rosewood knitting needle system helps keep stitches at the forefront of the needle where they are easier to access. Adjust the stopper and spring-loaded slider to keep your knitting tidy and more manageable, even on larger-scale and bulky projects. Dimensions: 9.5" x 4.5" x 1"
An easier way to hold all the weight of a large project! I like these needles . You can lay your work out flat so you can see if there are any errors. I want more in different sizes. 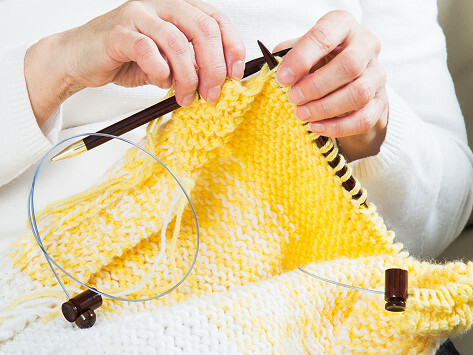 While struggling to knit—and wrangle—a bulky blanket, Founder Alexis Mantione had the idea to create this system that she now can’t imagine knitting without. The ladies at the local knitting studio (including the actual Two Ladies) agreed, and gave her clever solution their stamp of approval.